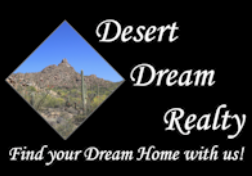 13323 W Rancho Drive, Litchfield Park, AZ.| MLS# 5910703 | Desert Dream Realty Cave Creek | 480-252-8300 | Find Your Dream Home with Us! Spectacular two story home in the gated community of Dreaming Summit! Professionally landscaped front yard, flagstone entryway, and 3 car garage is just the beginning. Immaculate interior boasts formal living & dining rooms, tile flooring in traffic areas, family room with high ceilings, and a large loft upstairs, perfect for an entertainment area. Gourmet kitchen is a cook's delight with SS appliances, granite countertops, island with breakfast bar, pantry, and breakfast room. Master retreat has french doors to back patio, luxurious bath with dual vanity, soaking tub, and step-in shower, & large walk-in closet. Backyard is a true paradise with full length covered patio, lawn, basketball course, and refreshing blue pool. Bring your fussiest buyer!